Why would I need self storage in Burbank, CA? There are a variety of reasons why you might need self-storage in Burbank, CA. How much is a storage unit in Burbank, CA? The cheapest storage unit in Burbank, CA is $78.00 per month. What size storage units do you have available in Burbank, CA? In Burbank, CA we have sizes that range from 5'x4' to 20'x15' to suit your storage needs. How much is it for a 5'x4' storage unit in Burbank, CA? The cheapest 5'x4' storage unit in Burbank, CA is $108.00 per month. Burbank is in Greater Los Angeles. It's divided into two very distinct sections, the flatland area and the downtown foothills area. The city is known for its widespread adoption of technology as well as its devotion to ongoing community development. It also enjoys a reputation for providing an excellent home for young professionals and families. Like much of California, Burbank traces its roots to the Spanish land grants that built and strengthened the area's economy and population. The city was named for Dr. David Burbank, a Los Angeles-based real estate mogul who bought large plots of land in the 1860s. He used the land for farming and ranching and then eventually sold a portion to the railroad and the rest of his property to speculators. In the early 20th century, the Moreland Truck Company found a home in Burbank and stimulated the local economy. Other businesses grew in the area, and the population increased dramatically between 1920 and 1930. Industries ranging from agriculture to entertainment flourished throughout the 1900s, creating a vibrant metropolis nicknamed the "Media Capital of the World." It supports radio stations, movie studios, production companies and a host of related businesses. The first thing you might notice about Burbank is its beautiful weather. Temperatures hover in the mid-70s during the summer and rarely drop below the 50s in winter. You can count on plenty of sunshine, which should please outdoor enthusiasts. Downtown Burbank offers a variety of big-city amenities to entice new residents, from coffee shops and restaurants to libraries and public transportation hubs. Gyms, entertainment venues and grocery stores are plentiful. Relatively low crime rates and good employment prospects provide additional reasons to move to Burbank. The Burbank Unified School District serves students between kindergarten and the 12th grade.In addition to elementary, middle and high schools, the district also manages a community day school and an adult school. Many of the public schools in Burbank have received national recognition for excellent student performance. There are also several private schools. Burbank's largest post-secondary campus is Woodbury University, which provides undergraduate and graduate programs. Utilities: Burbank Water and Power is the city's central utilities provider. You can request service set-up and pay your bills via their online system. Garbage and Recycling: Trash, recyclables and green waste all are collected curbside on a regular basis. Transportation: The BurbankBus and Metrolink provide public transportation throughout the city. You can also participate in the Park-and-Ride program. Burbank's median home value has increased significantly in the past several years, rising well beyond the national and state averages. If you'd prefer to rent, there are many apartments, town-houses and condominiums to choose from. Our lowest priced units in Burbank, CA average $97.67 per month. 598 people have reserved units in Burbank, CA in the past 30 days. 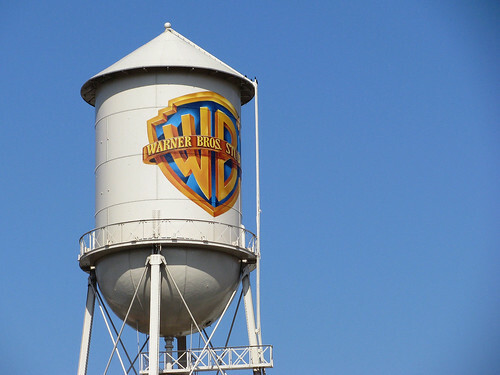 There are 9 locations within Burbank, CA's city limits. There are 2 locations in Burbank, CA that offer AC and Heating features.